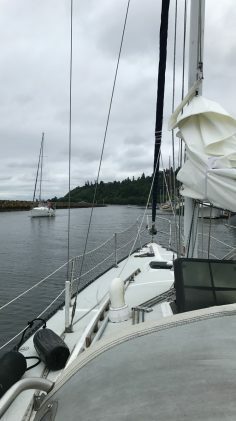 Eagle Harbor – First cruise since motor rebuild! Today I finally took my first cruise on Billabong! 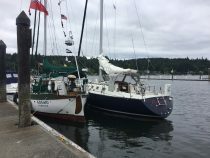 It was a small shakedown cruise from Shilshole Marina to the Eagle Harbor Public Park dock on Bainbridge Island. Took a couple good friends along as well as a new friend Jesse that I met right before he got on the boat. Motor fired up beautifully again and we got out of the marina no problem. Wind was strong on the way down to Eagle Harbor. 16 knot southerly with big gusts. As we headed south towards West Point from the marina we got lots of lifts and headers. 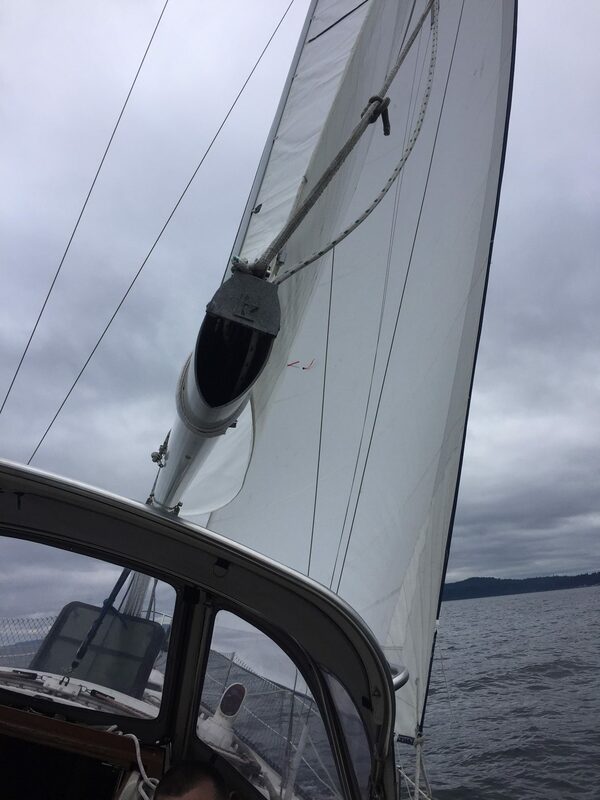 I was sitting on the low side watching the headsail and missed a couple gusts and buried the rail in the water. It was a blast! As we came around West Point the wind shifted to south south west. We set the sails once and stayed on a port tack from the marina right up to the entrance buoy of Eagle Harbor. 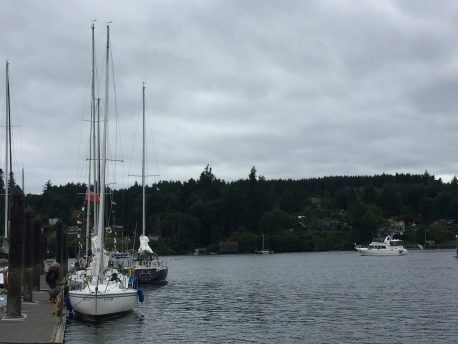 The Eagle Harbor Public Park dock can be crowded and rafting is encouraged. We rafted off to a beautiful old Westsail owned by a nice couple and headed into town for a food and drinks. The dock pay per foot and the cost of this “big boat” compared to Zippey is quite different. Zippey would have cost $2.30, Billabong cost $3.60! Breaking the bank here ;). One of the crew over was Benjamin, a co-worker who lives on the island. 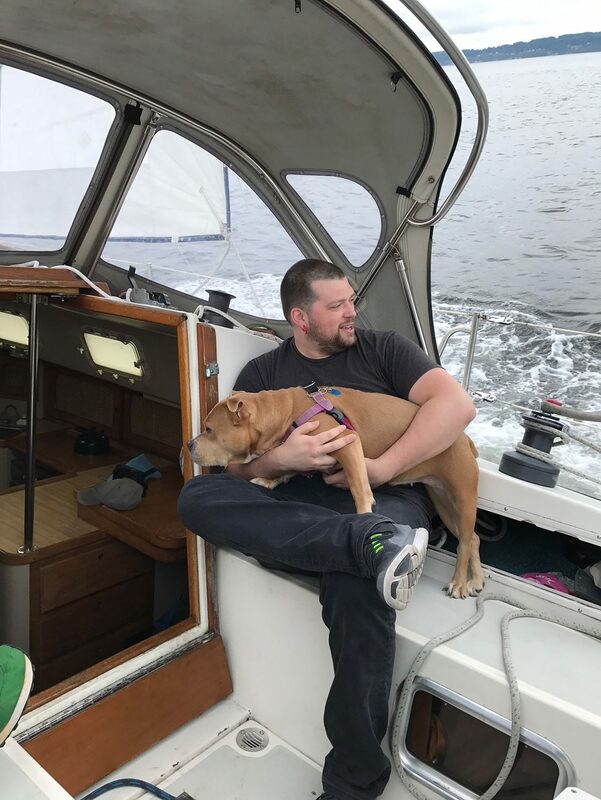 He hopped a ferry to Seattle and I took him back home. It was fun. One the way home the winds died and the seas became glassy. 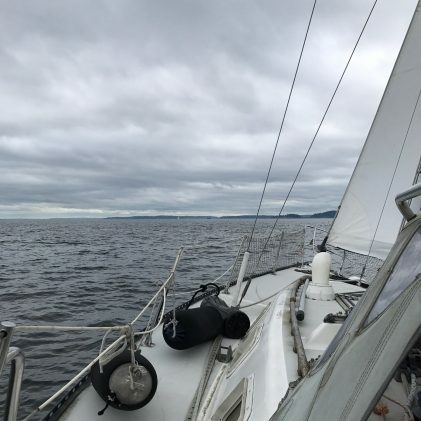 Used the iron sail to get home. 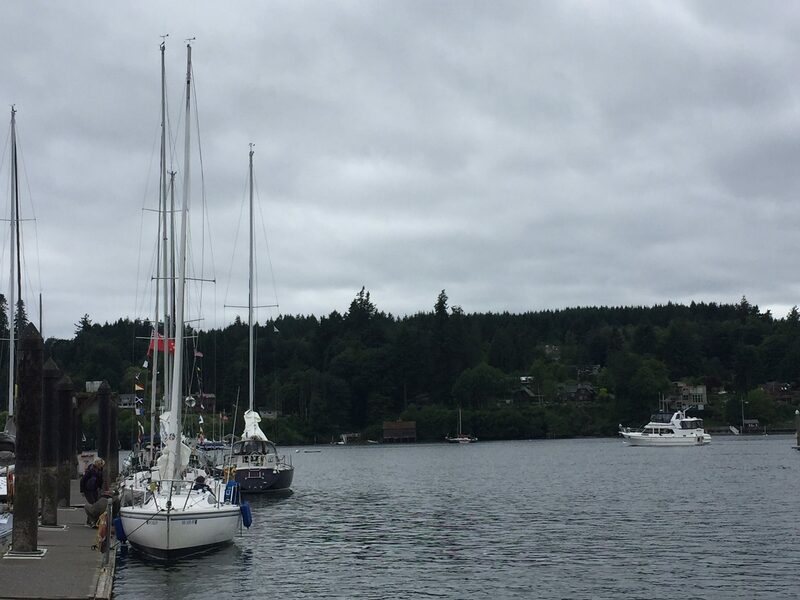 We made it to Eagle Harbor in about an hour and a half and got back in about an hour with the motor. Great day all around! I think that long tack helped me learn the steering on the boat much better. She is a bit sensitive. I was able to keep her on edge pretty well. Looking forward to testing myself again on tomorrow’s race!